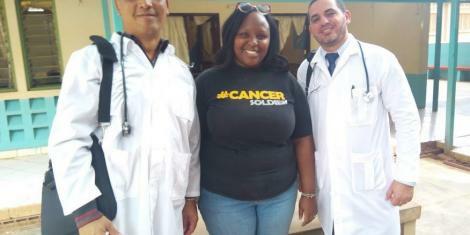 Saturday April 13, 2019-New details have emerged revealing that the police ignored the two Cuban doctors' pleas for additional security before they were abducted by Al Shabaab. According to reports, the doctors, Dr. Assel Herera Correa, a general physician, and Dr. Landy Rodriguez, a surgeon, had complained about the five-kilometre distance they had to cover in order to reach their work station. This was confirmed by a senior police officer, who admitted that they had received complaints from the two who wanted to be moved at a residence within their work station but no action was taken. “We also raised their concerns to our seniors and requested that they be moved to reside within the hospital but no action was taken,” stated the officer. The two doctors, who were in the company of two police officers, were kidnapped by Al-Shabaab on Friday en route to work and driven to Somalia.